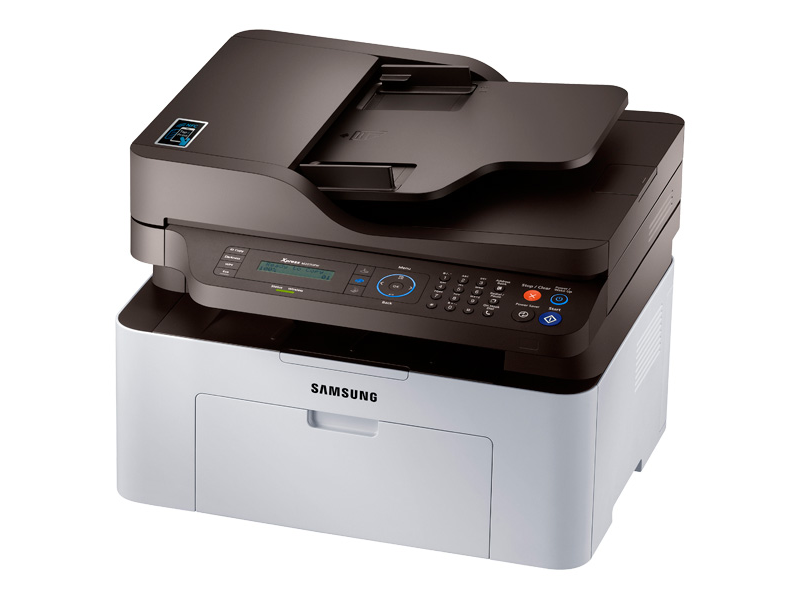 With 3-in-1 versatility, Samsung M2070FW is a 3-in-1 multifunction monochrome laser printer. M2070FW streamlines workflow and ensures that your office’s printing needs are running as efficiently as possible. With printing, copying, scanning functionality, the M2070FW offers flexibility without barriers. It is equipped with a 600MHz processor and 128MB memory to print 20 pages per minute. It’s up to 1200 x 1200 dpi effective by varying the dots size and the position of the dot itself, this means you can print more detail and have smoother and sharper images. you don’t have to worry about this printer crowding your space either. Its beautiful and compact design makes it a pleasure to share a desk with. Such a good printer needs a good toner cartridge. 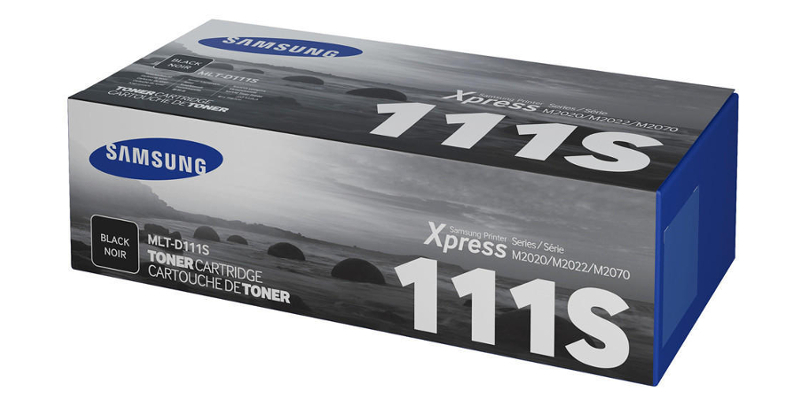 Samsung MLT-D111S Original Black Toner Cartridge (D111S) is the matching toner cartridge for M2070FW. It is the genuine product from Samsung and has the standard yield of 1,000 pages with two years shelf life. It is sold for $63.99 on our website. Compared with the marketing price $75.59, you will save $11.60 if you buy it on our website. For an OEM toner cartridge, that is a big deal. But, if you think that the OEM cartridge is not cost-efficient, then the new compatible one is more suitable for you. The price of a new compatible ink cartridge is much lower than an OEM one, but the quality of new compatible is as good as the OEM. 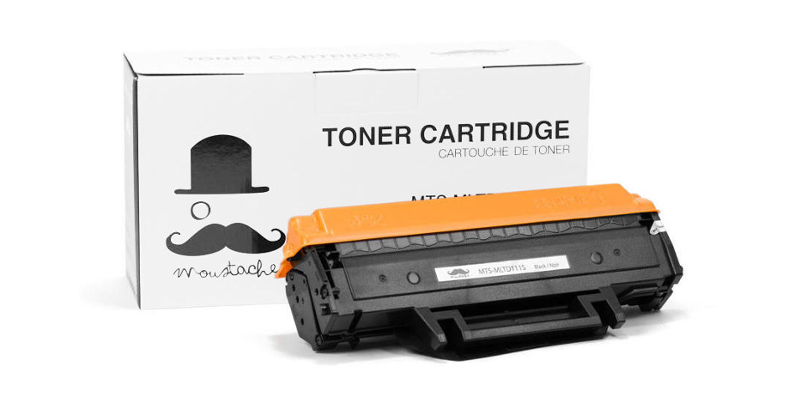 You can get a Samsung MLT-D111S New Compatible Black Toner Cartridge – Moustache® on our website. It is just sold for $34.99, that is much cheaper than the OEM. You can save a total of $29.00 compared with the OEM. You will find that that is a big deal for you. Are you interested in the mentioned products above? We ensure you will get the best high-quality printing supplies with the lowest costs possible if you order your toners online from 123ink.ca. Let’s click on our website to fill your virtual cart in advance! We are willing to offer you the best service. Our website offers free shipping on all the orders above $49. You will absolutely have a happy shopping experience on our website. Enjoy the fun of shopping online!